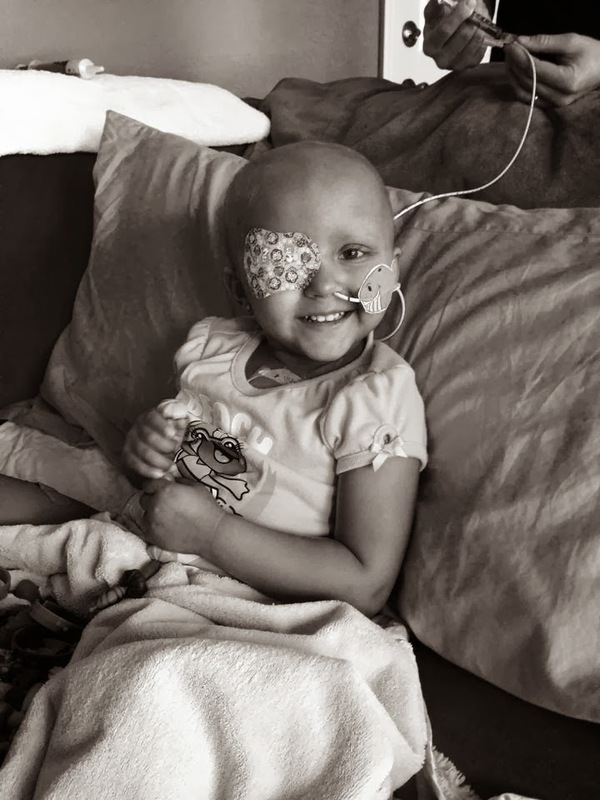 We’d like you to meet Delaney, this month’s cancer cutie! 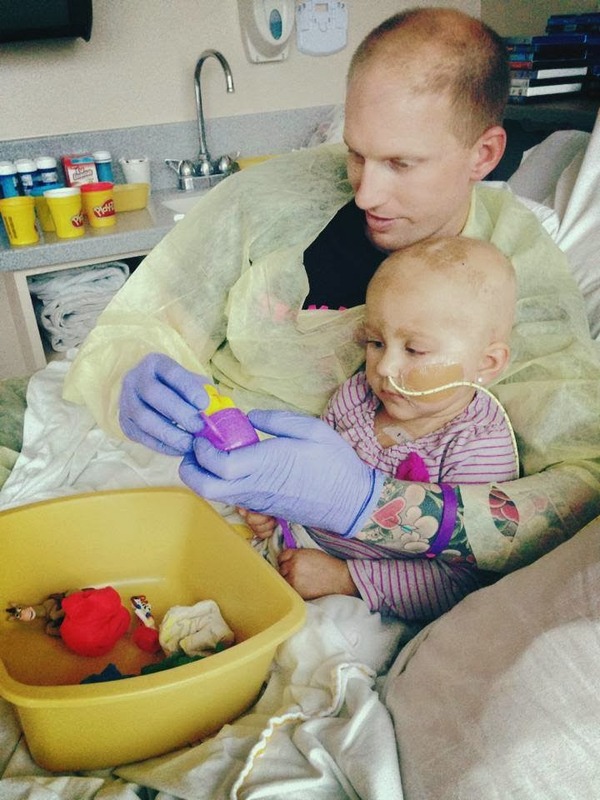 This beautiful little girl has brain cancer and is currently undergoing treatment…thank you for taking the time to read her story, shared by her loving uncle. On September 10th, 2013, the darling 2 1/2 year old Delaney Newton’s life was changed, along with her family’s, when the fight against brain cancer began. 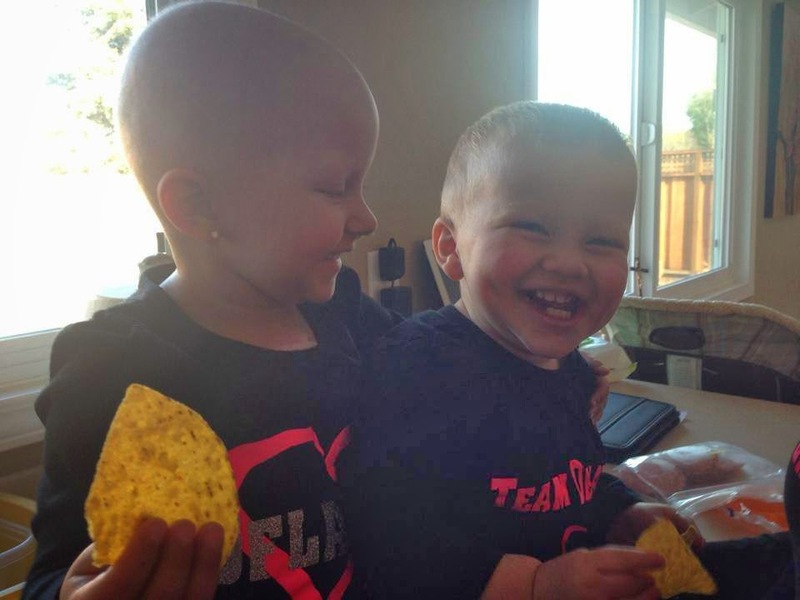 Delaney was diagnosed with a brain tumor in Oakland, California. Just two days later, on September 12th, she endured a 12-hour brain surgery by a team of 12 doctors and nurses at Oakland’s Kaiser Hospital, the same hospital she was diagnosed. Those 12 hours were the longest 12 hours of the family’s life as they waited for the surgery to end and for the doctors to give the results. As the family waited they were surrounded by loved ones the entire time, pulling for Delaney. 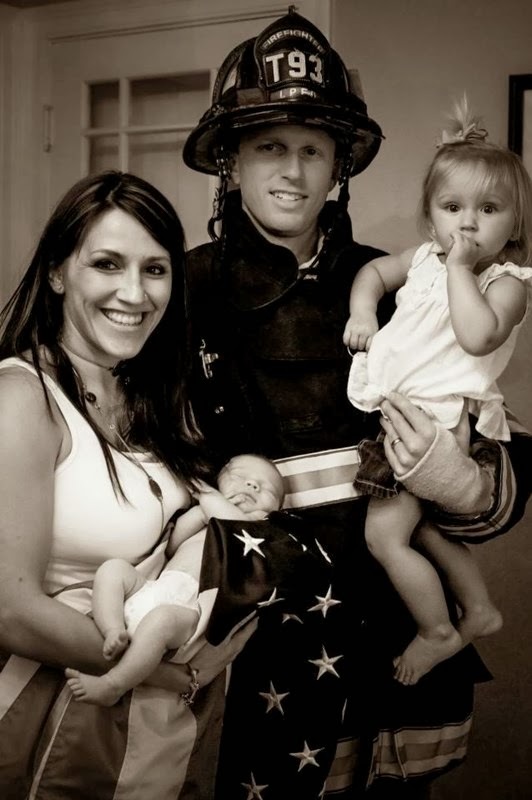 Family and friends crowded the waiting area along with her Father Merlin’s Firefighter crew–from Station 3 in Livermore/Pleasanton, CA. After a long 12 hours the doctors were able to remove the entire tumor mass in the lower back part of her brain. As we heard the news there were so many emotions and there wasn’t a dry eye in the room. 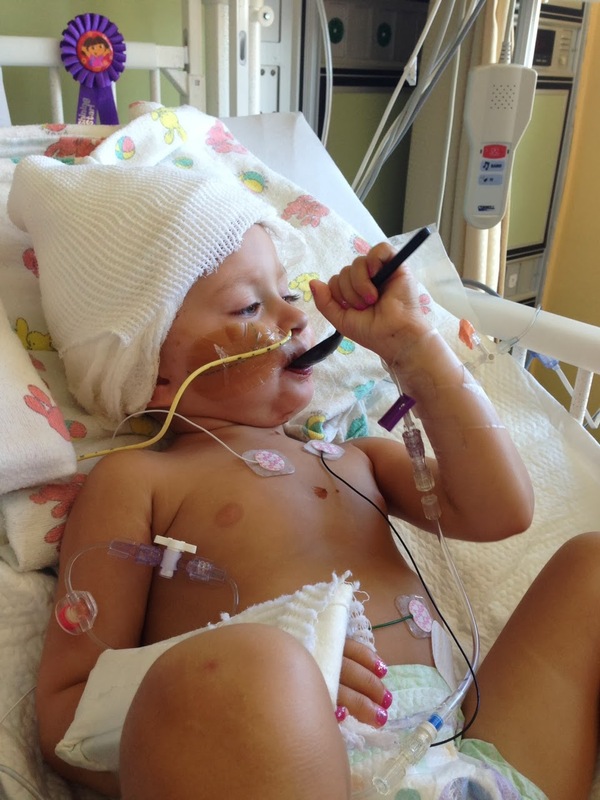 “How do you thank the doctors who have given your child more life to live?” Merlin asked. The simple answer is you can’t express in words the joy everyone felt after the previous two days had completely scared and terrified everyone of the unknown. The doctors were very pleased with the outcome but also explained that the next year was going to be extremely difficult with 6 rounds of chemotherapy along with physical therapy because Delaney will need to learn to walk again. The subsequent pathology report revealed that the tumor was indeed cancerous. Delaney spent the next month in the hospital recovering from her brain surgery, with her parents by her side every moment of the day. 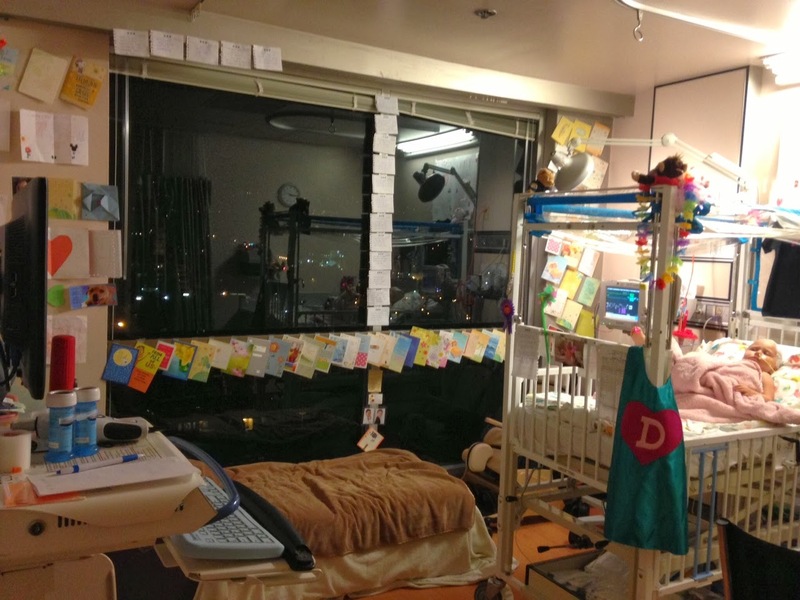 As Delaney was in the hospital recovering, her parents posted daily quotes above her bed. One stuck with her and began her motto for the battle: “And though she be but little, she is fierce!” That quote is now the back bone of what we call Team Delaney. The entire community and surrounding community rallied around Delaney in support and love. There are now over 2700 shirts, hoodies, and long sleeves in communities across the country with Team Delaney on the front with her heart logo, her quote on the back, and of course in her favorite color hot pink. Delaney is a true fighter and always makes the best of everyday. 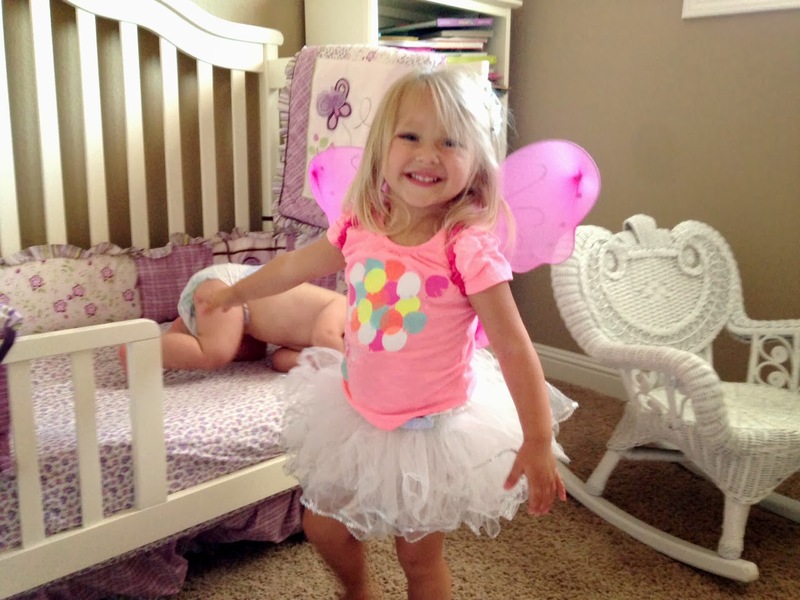 She has her ups and downs but overall she is a very happy 2 ½ year old. Her parents Merlin and Janice, and little brother Merlin III (who we call Mini Merlin) have been blessed by the out pouring of support that has started in their community. 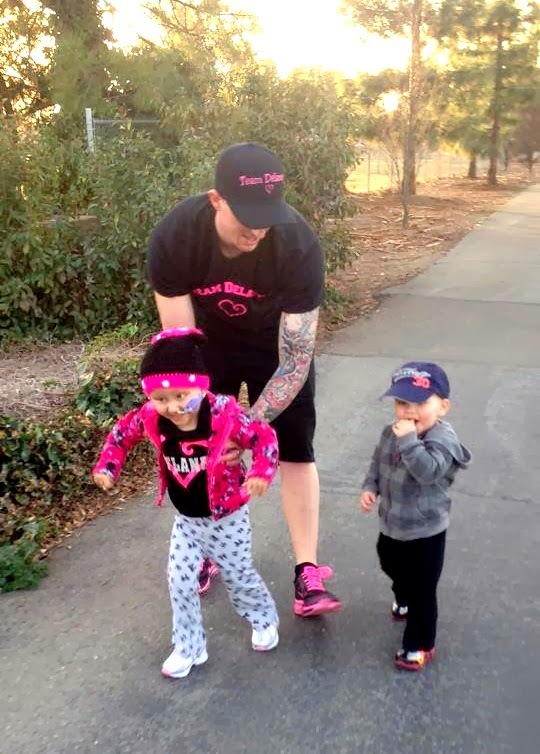 Janice was also 9 weeks pregnant with their third child the day Delaney was diagnosed. Delaney is a Livermore, CA resident just like her parents who grew up there. They call Livermore their home, community, and workplace. The support of the community, family, friends, and complete strangers have allowed them to stay at Delaney’s side every single day the past 5 months now. 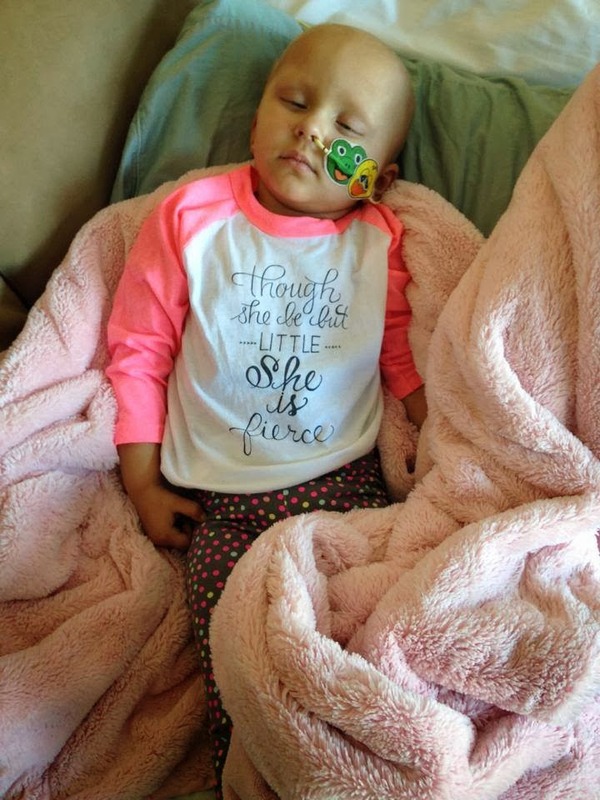 Delaney needs constant care and her parents are right there beside her–comforting her, changing her broviac, taking blood samples to hospital twice a week, administering over 13 drugs daily at certain times and trying to make her as comfortable as possible. It is no easy task for those who have experienced what Delaney is going through and the challenge it is to take care of her but it is what must be done to give her the best possible outcome. As Delaney continues her fight we can’t help but look back. We never knew what was in store for Delaney and the family. 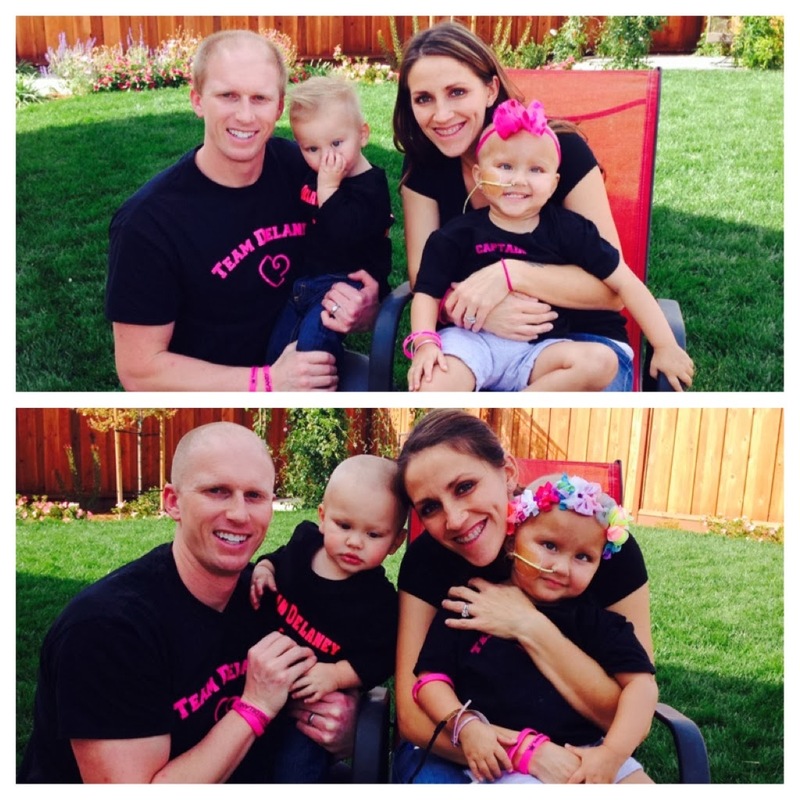 Our world and our families’ worlds were changed that September day as Delaney’s fight began. We cannot help but think of the times before cancer, where Delaney has come these past months, and who she will eventually become with this life experience. Delaney is destined to do great things in this journey we call Life, which is far from over. We cannot thank everyone enough who has helped Delaney and the family with gifts, donations, time, energy, babysitting, mowing lawns, sending prayers, positive thoughts, sporting shirts, bracelets, and so much more. We know one day Delaney and Team Delaney will give all this back to the community and families who have given Delaney and the family the ability to be by her side every hour of every day these past 5 months and counting.